Since its establishment in 1969, Japan Marina Co., Ltd. (JMC) has been a devoted manufacturer of marine electronics equipment. A reputation for providing quality professional products and services has been well-earned and is respected internationally in the areas of fishing and maritime navigation. Today JMC manufactures and markets products and systems for all sizes and types of commercial fishing ships and merchant marine vessels under own JMC brand as well as supply GMDSS and wheel mark-approved equipment to major marine electronics companies on an OEM basis. The manufacturing quality of JMC assessed and certified, by independent Notified Body authorized by MCA, under strict and demanding criteria in compliance with M.E.D. and U.S.C.G. Standards. 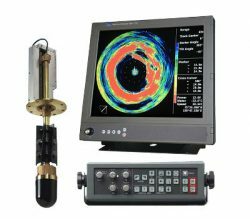 The current product types available are: NAVTEX, Navigation Sounder, GPS/Chart-Plotter, Searchlight & Sector-Scan Sonar, Fish-Finder, etc. 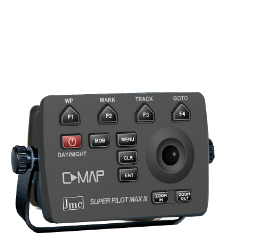 Digital reciever design based on leading-edge DSP technology, offering superbly defined image resolution, wide-dynamic range sonar echogram previously unavailable with traditional analog circuitry designs. Sector scan type sonar system, covering a 45-degree sector/ping through 360 deggrees for high speed applications. IMO resolution-compiant low-cost single frequency navigation sounder housed in electrostatically shielded compact ABS plastic cabinet. 17-inch daylight- viewing TFT LCD with white LED backlighting for eco-friendly low power consumption.Extremely long service life while maintaining high definition, high contrast graphic image. 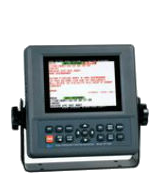 High-end GMDSS model for SOLAS vesselsm fully compliant with SOLAS Convention 74, IMO resolution MSC. 148(77), IEC 61097-6 Ed.2 and other international NAVTEX regulations. 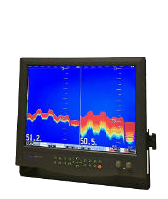 Dual-Frequency professional fish finder equiped with a 15 inch XGA LCD Display. Handled VHF Marine Floating Radio. The SPMAX III is a compact cartographic plotter without display that must be connected to an external monitor.